In late September 1938, Darryl Zanuck wrote to director Henry King that he regretted the decision to film the movie on location in Missouri. He stated that he felt the movie could easily have been filmed at Fox studio on their own "western street". He ordered King to return with the first unit as soon as possible and leave behind the second unit to finish up with the necessary location shots. He told King that he felt the movie would never make back the cost of making it due to the expenditures of location shooting. As it turned out, the cast and crew returned from location, leaving second unit director, Otto Brower, behind with a crew to take location shots. Jesse James was a big success. Later, post World War II, Zanuck became a strong proponent of worldwide location shoots. Jesse James, released in Technicolor in 1939, is a historical fiction classic, directed by Henry King, a well-known director who directed many of Tyrone Power‘s movies. The movie features a cast of great actors of the day. Tyrone Power starred as Jesse. Henry Fonda played brother, Frank James, and Randolph Scott was the sheriff. Tyrone Power’s love interest was played by Nancy Kelly. Several other fine character actors had roles. Brian Donlevy played the railroad negotiator; Jane Darwell played Jesse’s mother, and John Carradine played Bob Ford, a member of the James gang who turned out to betray Jesse. A colorful character, the editor of the local newspaper, was played by Henry Hull. The actors all turned in superb performances. How accurately the story was told is difficult to determine, since the story itself is derived from a short time in our nation’s history where tales were spun, many disputing each other. What is known is that Jesse James, born in 1847, formed a gang, in post Civil War Missouri, with his brother, Frank and other local outlaws. They robbed trains and banks for about fifteen years, building a reputation as a notorious gang. As the years passed, though, the stories that were told about the gang took on different twists. While viewed as just a notorious outlaw by some, others view him more like a Robin-hood than a cold-blooded killer. Many people believe that the outlaw career of the James Gang began due to extremely cruel treatment to Jesse’s family, in post Civil-War Missouri. This is the vantage point taken in the movie. The love story told in the movie was not one of the "romance added for effect" concoctions of Hollywood. Zerelda "Zee" was, indeed, the love of the real-life Jesse James. The movie was one of many great movies that came out in 1939. 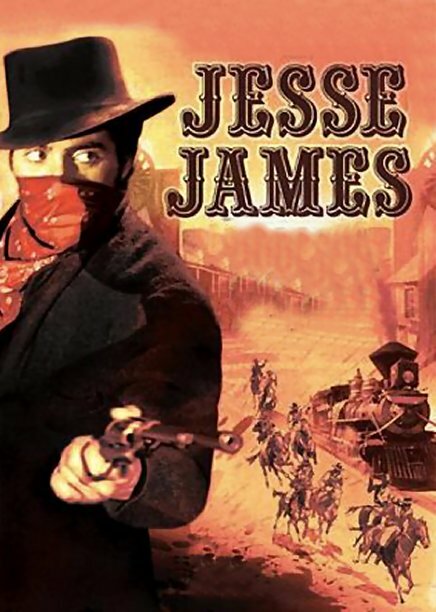 The most famous movies of that year, of course, were Wizard of Oz and Gone With the Wind , but Jesse James was certainly one of the more memorable ones, along with such movies as Stagecoach, Wuthering Heights , Goodbye, Mr. Chips , and Destry Rides Again , among others. The story of Jesse James has been told many times. The Ty Power version was re-told in 1957 by 20th Century-Fox. It was called The True Story of Jesse James, and it starred Robert Wagner as Jesse, Jeffrey Hunter as Frank, and Hope Lange as Zee. In reviewing this version, The New York Times stated: "The years have brought a deluge of bloody, extremely ragged James entries straight from the cornbin. And certainly Nunnally Johnson's big, tough, colorful saga of the outlaw, as played by Tyrone Power, was the best. It still is."